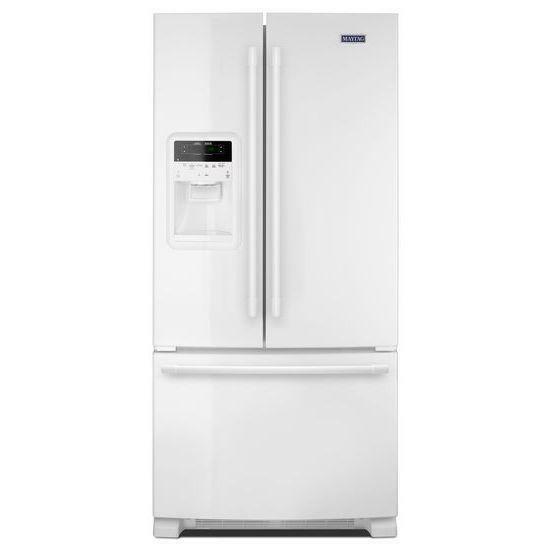 Maytag® 33" wide french-door refrigerator is equipped with an external water and ice dispensing system. This refrigerator also features Beverage Chiller™ compartment, PowerCold®, BrightSeries™ LED lighting and humidity-controlled FreshLock™ crispers. Total 21.7 cu. ft. / 0.61 cu. 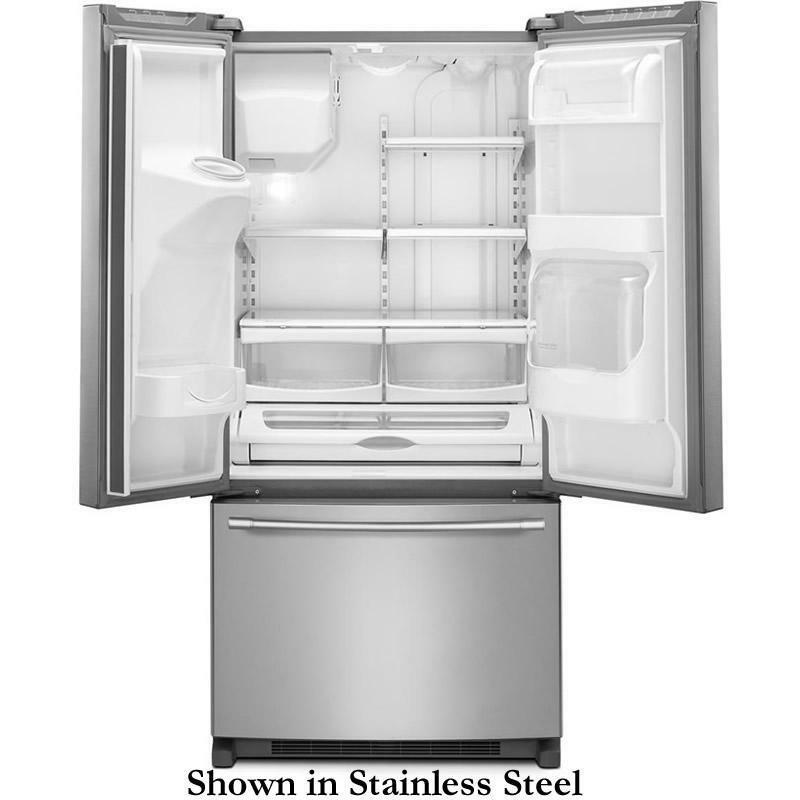 m.
Refrigerator 15.88 cu. ft. / 0.45 cu. m.
Freezer 5.83 cu. ft. / 0.17 cu. m.
Additional Dimensions • Depth: 34 1/4"
• Depth with Door Open 90 Degrees: 47"
• Depth Closed Excluding Handles: 31 7/8"
• Width of Cabinet Only: 32 5/8"